This is a Bullet Bulge Lug Nut for 1/2 inch studs. This 3/4" Hex drive Bullet lug nut give a nice finished look to custom wheels. 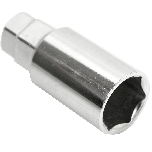 These Bullet Lugs are sold individually and priced Per Each. Speak to a Tire Expert for more information about your antique vehicle’s wheel and tire fitment needs. How are the bullet cones attached to the lug nuts? 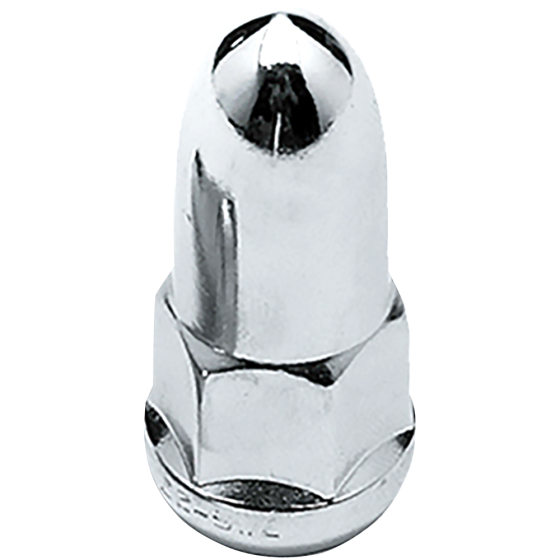 The bullet is not "attached" to the lug nut, but rather the lug nut is one solid casting in a bullet shape.